Hey Miss K, put those cheap and cheerful IEM’s in the box. I already gave you a pair. Santa Steve knows who’s been naughty. These are super-fun earphones and so much better than anything that comes standard with most portable electronics. I’ve already given seven pairs to friends and family in the last six months. Two more family members might get them, if they’ve been good. Read the full review here. A no-brainer gift for the vinylphile. 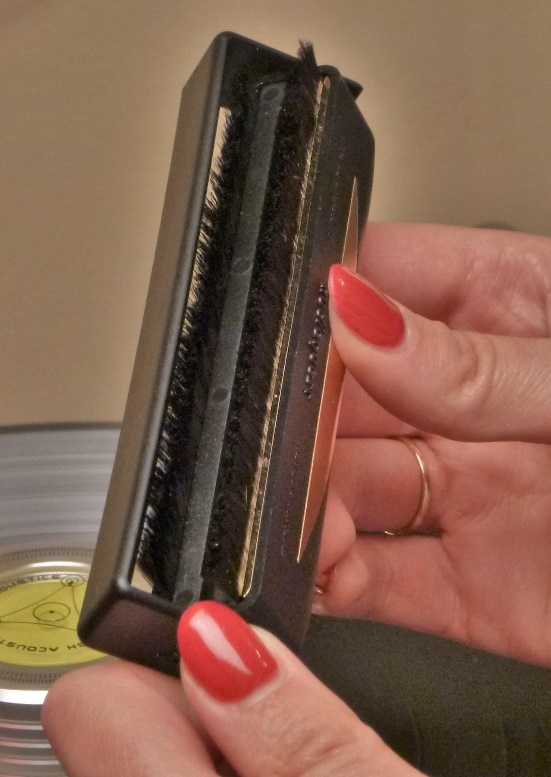 Picks up loose debris, and with the hack I discovered – you have to read the review to find out what it is – helps keep it from being attracted back onto your records. A friend purchased one and has since thrown his old brush away. An audio retailer I know sells them and shows customers my hack. Review link here. I bought one of these on the strength of a review, and I’m not disappointed. How good can it be for 100 bucks? Not bad. It’ll play Hi-Res files up to 24/192, though this might be a bit of a waste of memory space, with the IEM’s it’s likely to be used with. A micro SD card pops in the bottom next to the headphone jack. The player loads up fast from the card and displays album art too. I just copied CD rips from the drive I’d used to backup my NAD 50.2 onto a generic $15, 32GB micro SD that I picked up at the local office supply store. Miss K., bless her, got me a Samsung 128GB card (see next item on the list). The M3K comes with a protective rubber case, a cable for charging, and two USB adapters. It can even be used as a USB DAC, though I haven’t tried that feature yet. Pair this with the KZ IEMs above, and a 128GB SD card, and you have a really decent sounding portable system that will store a lot of music – for under 200 bucks. Just for fun, I hooked it up to my big rig. It sounded OK, the highs a bit rolled-off maybe. Not as nice as the Lumin D1 below, but for $100, not too shabby at all. The manual that comes with the M3K is very brief. But read it first before switching the unit on. Be careful with language selection. I was goofing around and selected Spanish, I think. I could sort of figure out the menus to get back to the language selection and then select English. If I’d have selected one of the Eastern languages, it might have been impossible. 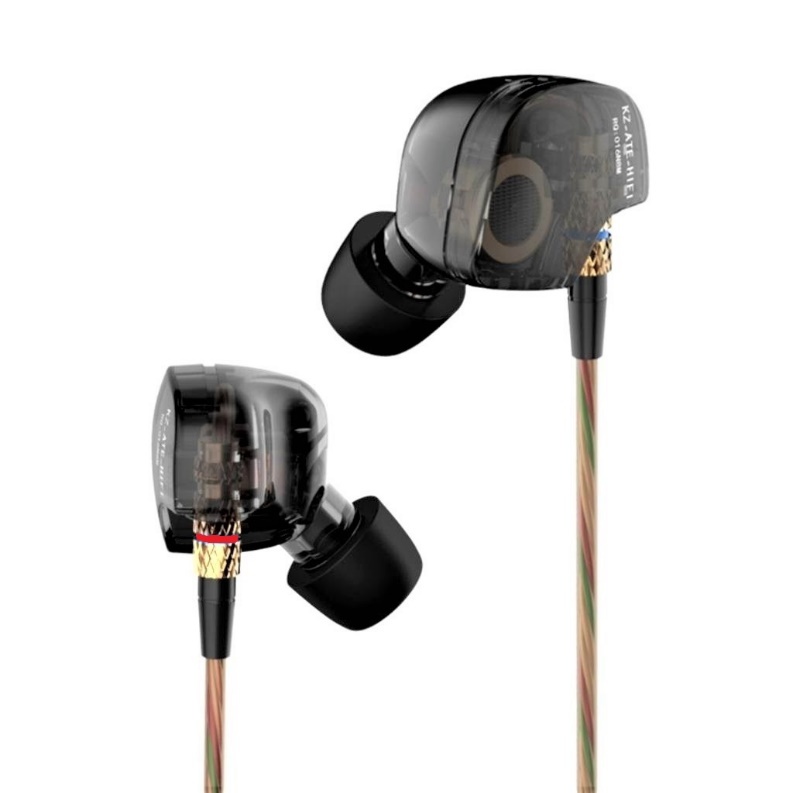 The M3K just went up on the FiiO site a few days ago. There is supposed to be a more detailed downloadable manual but I haven’t seen it yet. At any rate, if a klutz like me can figure it out then most everyone else should be able to. 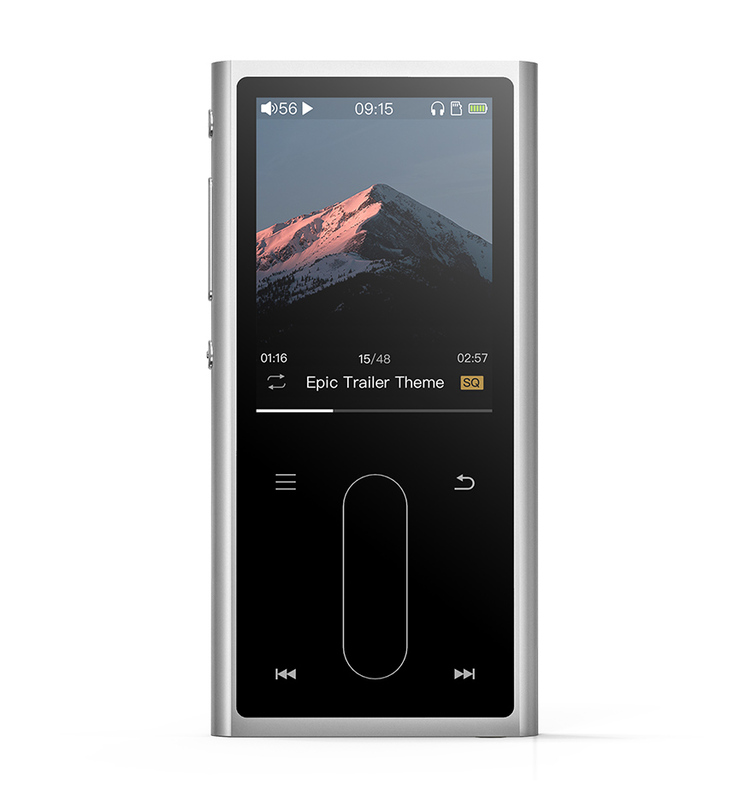 Fiio M3K Page. Samsung 128GB EVO Plus Micro SD card ~$57 CDN on sale. Lumin D1 Network Music Player ~$1800 CDN on sale. You’ll have to act fast on this one. The D1 has been superseded by the D2. Why settle for an older model? Saving over a thousand bucks, that’s why. The D2 has a built-in power supply versus the D1’s floor wart. The D2 will do DSD at twice the speed of a D1. Other than that, the D1 has a smaller more stocking-friendly size, not too much else as far as I can tell. The D1 originally listed for about $2,800 in Canada, but when the D2 came along the distributor discounted the D1’s they still had in stock. The D1 (as well as the D2) doesn’t have any built-in memory. You can use Lumin’s L1 server/memory device, or potentially just an inexpensive portable back-up drive. The down-side of an inexpensive drive is that you might have to configure it. The 2TB Western Digital and Seagate drives I tried worked without any messing about on my part. Whew, dodged a digital bullet there. The D1 requires a wired network connection, which can be an inconvenience. I’ve been told it works better with iOS (Apple) devices, as compared to Android ones. My experience using an iPad as a controller was mercifully uneventful. When first started, the D1 takes several minutes to read, what I believe is the cover art (metadata) from the drive, before it actually recognizes the drive and lets you play anything. There are two USB ports on the back – one on the front would have been nice – so you can stick in a thumb drive or backup drive if desired. Smaller drives, like a thumb drive having fewer files, will load up faster, of course. The Lumin is playlist-oriented. If you are like me, old and album-oriented, you need to load an album to the playlist, then hit play. Playlists can be saved if desired. Unlike my NAD 50.2, that has world-class customer support, going to the help tab on the Lumin got me a “Not Found” message. However, even a digital dufus like me was able to make it go successfully. Comparison with the NAD is a bit of an apples and oranges story. The NAD 50.2 is all memory and no DAC. The Lumin D1, a DAC with no memory. The NAD also lists for almost exactly double the original $2,800 list of the D1. One D1 feature that I did find especially endearing is the option of double-touch to play. Not only does this make loading an album to the playlist easier, it also meant I didn’t accidentally play something inadvertantly, while listening to the playlist and scrolling to look at something else. I wish the NAD had this option. Though my system is in a serious state of flux, with review components coming and going and a speaker upgrade in the offing, the sound of the Lumin D1 was very nice. It has balanced and single-ended analogue outputs, the balanced being especially symbiotic with my fully-balanced ARC gear. When I look at the D1, it’s not a full-size component; see picture with Miss K. above. I don’t think I’d have been temped at $2,800. But for $1,800, it has my full attention. I can just plug in a drive copied from the music files on my NAD and away I go. Especially now that my dearest significant other has grudgingly granted approval to a system in our living room. See Lumin’s website for more info. Thanks to Peter Wolter at Being There Audio for the loan of the D1. 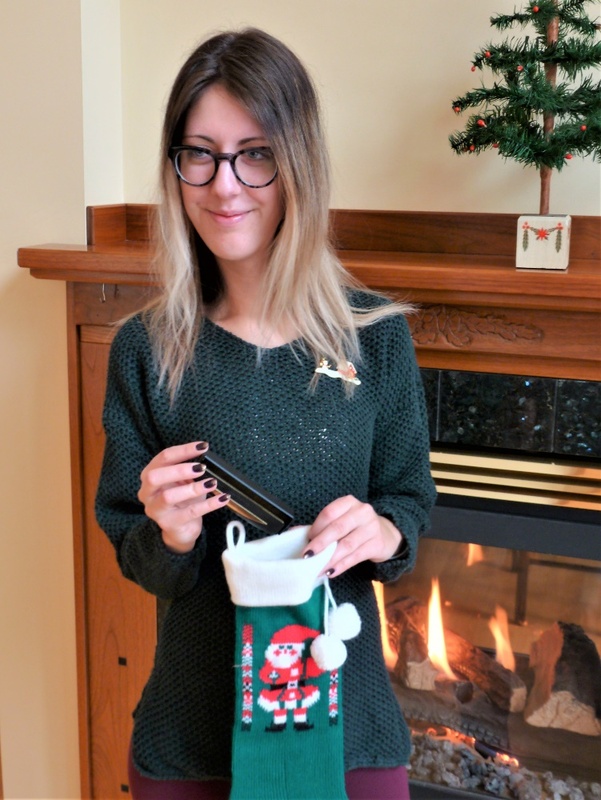 Miss K., I think you’ll need a bigger stocking. This is Spendor’s take on, and improvements to, the classic BBC LS3/5A. At $2K per pair, the Spendors seem expensive, but when you consider that some people are asking more for ancient pairs of original LS3/5A’s, it’s not all that outrageous. But do the Spendors perform? Hard question for me to answer. 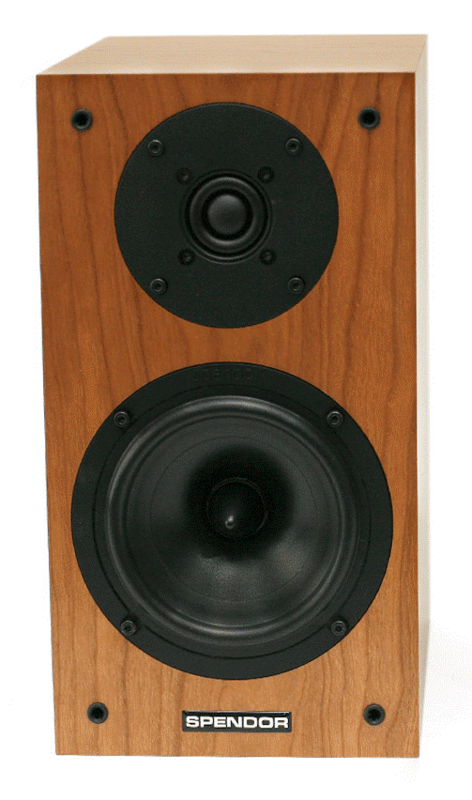 The mid-woofer is a smaller version of the driver that so entranced me when reviewing the Spendor D7. Through the upper bass and mids, it has the same magic as the D7. A little speaker has an uphill battle when it replaces a set of monster full-range floor-standers. But I have to keep in mind that I’m not writing this review for me. I have been fortunate in always being able to afford and accommodate floorstanding loudspeakers. To me, if there’s space for a small speaker on a stand and the budget for speakers and stands, then it’s usually not that big a stretch for floorstanders. Actually, come to think of it, I did go through a mini-monitor with subwoofer phase about 30 years ago, but it was unrewarding. But that was with speakers far less accomplished than the S3/5R2. It’s been floorstanders in my main system ever since. For those that, due to space considerations, preference or “domestic considerations”, want or must have small speakers, then the S3/5R2 might be for you. One definite advantage to a small speaker is the ease of experimenting with placement when using stands. I don’t want to give the game away (a longer review is planned), but these are very musical speakers, and the superb cabinetry makes these little jewels very desirable. Definitely worth an audition. Like other Spendors, don’t expect to be bowled over. 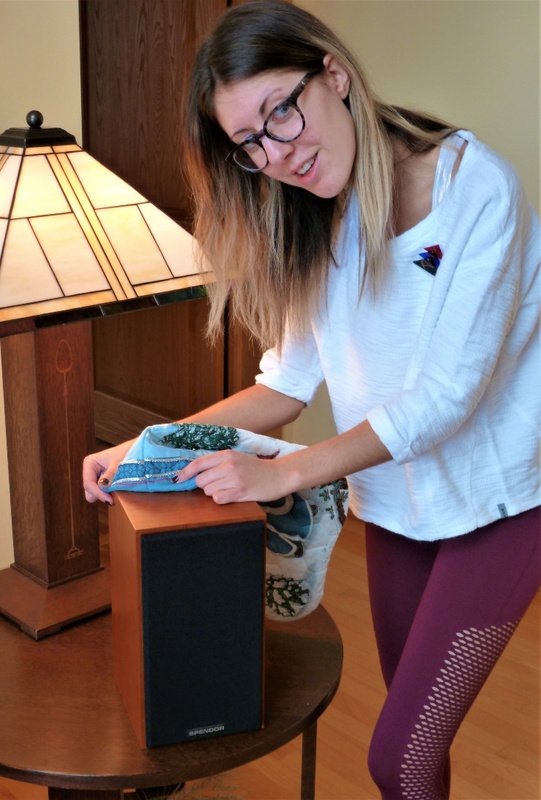 A “grab your attention” speaker might impress with a quick dealer demo, but could be fatiguing in the long run. A buddy bought a pair of British speakers, not Spendors, and after three months traded them. They were, to his ears, unlistenable. The Spendors seduce with subtlety. But once seduced, a long-term commitment usually follows. The S3/5R2 is not currently listed on the Spendor site. I suspect it has been replaced with the identically specified Classic 3/5. This, I also suspect, may be to cover a price increase. The churning of model updates is the cross that distributors and dealers must bear. Like the Lumin D1 above, the beneficiary is the consumer. If you’re willing to forego the latest and “greatest” you can probably stick-handle a deal on a pair of S3/5R2’s. Thanks to Peter Wolter at Being There Audio for the loan of the S3/5R2 speakers. 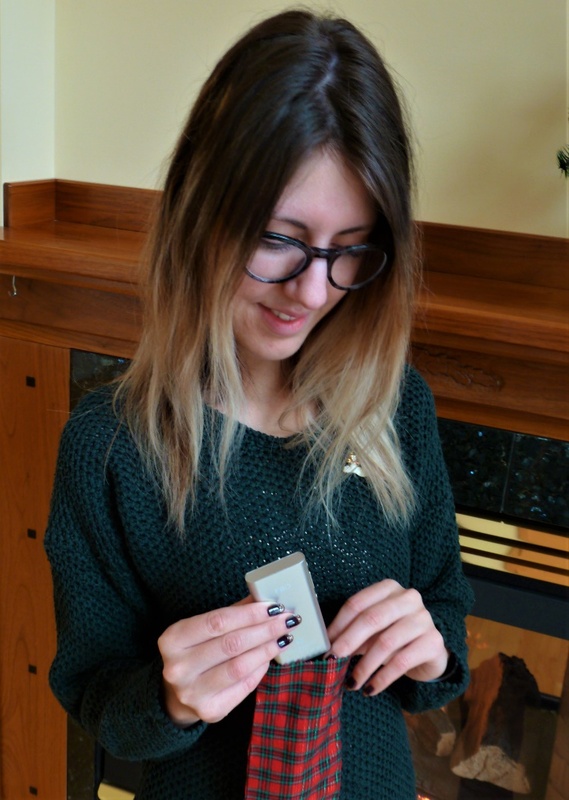 There’s my gift guide wrap up. Some are more likely to be gifts to one’s self, but that’s OK. Be sure to shop around, there are bargains and deals to be had and at all price points. 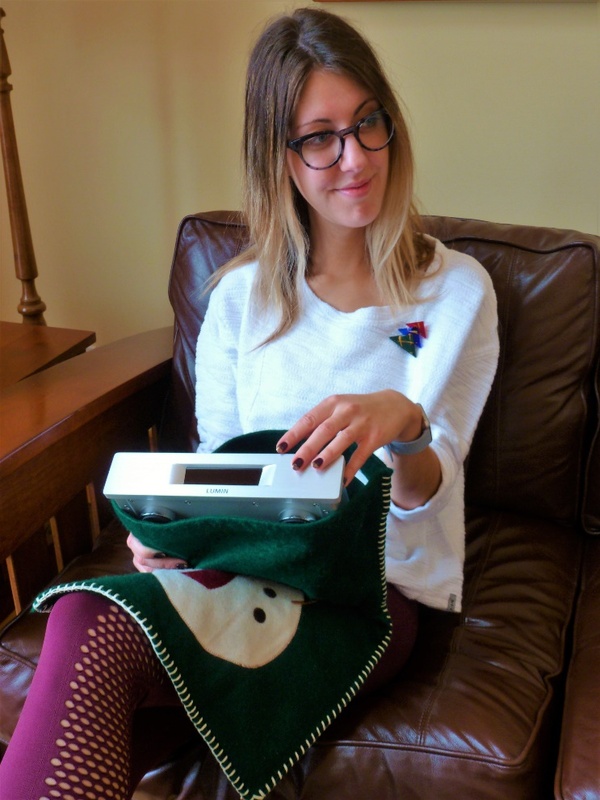 Thanks to Miss K. A sweeter niece and part-time elf could not be imagined.